Exposed steel shaft end wicks moisture into the bearing bringing production to a stop. 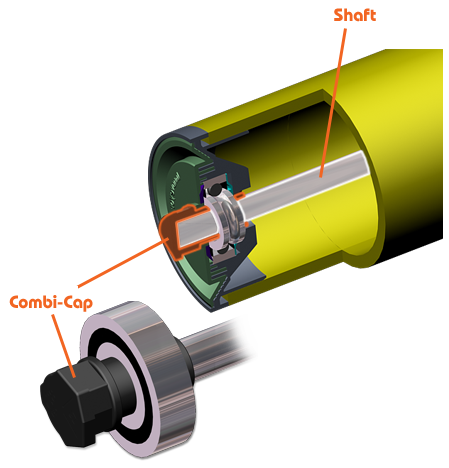 The Combi-Cap shaft protector covers the end of the shaft, insulating it; preventing condensation inside the bearing chamber and increasing conveyor up time. The Combi-Cap shaft cap is made of an engineered composite and is designed to fit into your existing idler frame. Making retrofit fast and safe.